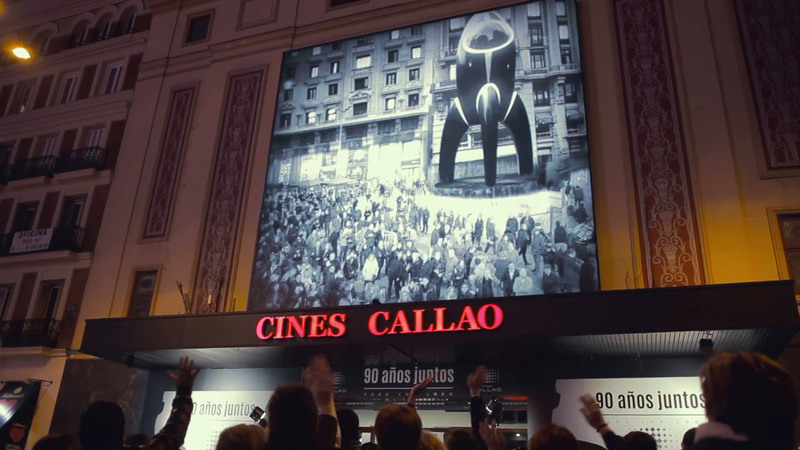 Augmented reality campaing for the 90th anniversary of the emblematic Callao Cinemas in downtown Madrid. We made the hundreds of passersby travel back in time to the year it all started, 1926. They were part of classic cinema scenes surrounded by King Kong, Nosferatu, a distant future seen from the past and some other amazing scenes. This is a permanent Augmented Reality installation, featuring 4K live camera and video, smart content based on user detection, 2D and 3D real-time content and seamless integration with facade’s digital signage platform. Project done with Wildbytes for Callao City Lights.